When students first enter college, their diets often deteriorate and they often gain weight. There are many factors responsible for these changes. However, there are also several actions that can be taken to avoid the weight gain and decline in diet quality that may occur during the college years. The term "freshman 15" refers to the number of pounds many students gain during their first year in college. This weight gain is related to stress , a sedentary lifestyle, and changes in food intake and diet patterns, and it is not unique to American college students—international students attending American universities become heavier, too. Meals are often skipped by college students, and management of weight and food intake is often nonexistent or disordered. Class and work schedules change daily, as well as every semester. However, structured eating patterns help students' academic performance. A study by Mickey Trockel, Michael Barnes, and Dennis Eggett, for example, found a positive relationship between eating breakfast and first-year college students' grade-point averages. Lifestyle changes, peer pressure, limited finances, and access to food also contribute to erratic eating patterns. College students have little variety in their diet and often turn to high-fat snacks. A common error is underestimating serving sizes, meaning they often eat more than they think they are eating. Irregular class schedules, part-time jobs, and variable homework loads can disrupt normal eating patterns among college students, leading to unhealthy habits that may be hard to break. Despite these difficulties, it is important for students to find time for nutritious and varied foods. which is important for intestinal health. In terms of vitamins , a low vitamin C status has been associated with college students' low intake of fruits and vegetables (with levels of vitamin C being even lower among smokers). In terms of minerals , calcium , iron , and zinc intake are low, while sodium intake is generally higher than recommended. Male college students are more likely to meet dietary intake recommendations for the meat, poultry, fish, dry beans, and nuts group; from the bread, cereal, rice, and pasta group; and from the vegetable food group than are females. Males seem to consume more food overall, and thus have a higher energy (calorie) intake. Female college students tend to eat too few breads, grains, and dairy products. In addition, it is estimated that about 10 percent of college students drink more than fifteen alcoholic beverages per week, further impairing the quality of their diet. Eating disorders such as anorexia and bulimia are more prevalent among college females than among the general population. This is related to body image dissatisfaction—females that are underweight, as measured by their body mass index (BMI), sometimes consider themselves to be overweight . The incidence of anorexia and bulimia may increase when there is excessive preoccupation with weight, academic achievement, body image, and eating, as well as during stressful periods, such as final exams. The prevalence of disordered eating is especially high among female athletes. College athletes may manipulate diet and fluid intake, putting their health at risk. They may also jeopardize their health by taking dangerous or excessive amounts of supplements as a result of misinformation, or of pressure from coaches or peers. Athletes may feel pressured to restrict their food intake if they are on an athletic scholarship or competing in weight-classification sports such as wrestling. Female athletes may be underweight or have an extremely low amount of body fat. The female athlete triad (disordered eating, amenorrhea , and osteoporosis ) is estimated to occur in 15 to 62 percent of female college athletes. Get at least eight hours of sleep a night. Lack of sleeps affects one's ability to concentrate and makes one feel tired. Sleep deprivation also seems to be connected with weight problems. Avoid skipping meals. When a meal is skipped, the subsequent hunger may cause one to overeat. Eat breakfast, which helps concentration and increases the likelihood of consuming calcium, folic acid, and vitamin C. These nutrients are often low in the diet of college students. Manage portion sizes. If portion sizes are underestimated, one may eat more calories than are needed. Also, the availability of a wide variety and mass quantities of "dorm" food (pizza, soda, etc.) may promote overeating and a significant increase of total energy intake. Drink water and eat fruit throughout the day. Water is calorie-free and fruits help manage urges to eat and contribute fiber, vitamins, and minerals. Exercise regularly. Physical activity helps burn off calories, helps manage stress, and promotes mental and physical stamina. Become familiar with the campus environment and the foods that are available. Most colleges and universities have a variety of eateries, each with a different format, theme, and food options. Try the low-calorie, low-fat, and vegetarian options available around campus. As part of a well-planned diet, these items can help manage total energy intake and introduce one to items that can become part of a regular diet. Keep low-fat and low-calorie snacks in the dorm room. This will help manage calorie intake when snacking, especially when eating late at night. Most universities offer a variety of meal plans. Students who take the time to acquaint themselves with the various foods available around campus, and who strive for nutritional balance, may find their academic performance improves along with their physical health. Many universities have required or optional meal plans, which provide access to campus food for a flat rate paid either by semester or academic year. Per meal, these plans are a good value and provide access to a regular food resource. Among the things to consider are the hours the facilities are open, their proximity to student housing and classes, the quality and variety of items, and whether favorite foods are regularly available. Universities can also take a variety of steps to promote healthful food behaviors. Campus and residence hall wellness programs can provide students with information and point-of-purchase information at dining halls can help students make on-the-spot decisions that support healthful choices. Education programs for university personnel can help them recognize and properly refer at-risk students. College students will eat healthful foods if they are available. During the college years, students form a foundation and create eating habits that impact future health, so it is important to practice healthful eating during these years. SEE ALSO Adult Nutrition ; Eating Disorders ; Eating Disturbances . Anding, Jenna D.; Suminski, Richard R.; and Boss, Linda (2000). "Dietary Intake, Body Mass Index, Exercise, and Alcohol: Are College Women Following the Dietary Guidelines for Americans?" Journal of American College Health 49:167–171. Johnston, Carol S.; Solomon, Elizabeth; and Conte, Corinne (1998). "Vitamin C Status of a Campus Population: College Students Get a C Minus." Journal of American College Health 46:209–213. Schwitser, Alan M.; Bergholz, Kim; Dore, Terri; and Salimi, Lamieh (1998). "Eating Disorders among College Women: Prevention, Education, and Treatment Responses." Journal of American College Health 46(5):199–207. Selkowitz, Ann (2000). 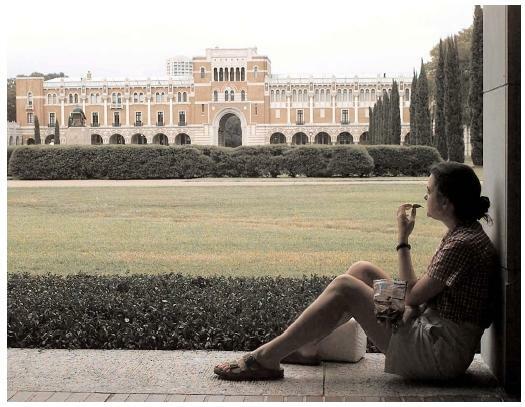 The College Student's Guide to Eating Well on Campus. Bethesda, MD: Tulip Hill Press. Tavelli, Suzanne; Beerman, Kathy; Shultz, Jill E.; and Heiss, Cindy (1998). "Sources of Error and Nutritional Adequacy of the Food Guide Pyramid." Journal of American College Health 47(2):77–87. Trockel, Mickey T.; Barnes, Michael D.; and Egget, Dennis L. (2000). "Health Related Variables and Academic Performance among First-Year College Students: Implications for Sleep and Other Behaviors." Journal of American College Health 49(3):125–131.